Highway surfacing is under great stress due to the hot summer weather. With several weeks of sunshine and record temperatures during June, the situation has continued into July, with the scorching conditions set to continue. The school holidays are now here with many families taking to the roads for their annual break and summer fun. This great escape has been named “Frantic Friday” as traffic peaks during the first day of the holidays. In some parts of the country the prolonged heat has softened the asphalt as our roads unusually reach melting point. The distortion this causes to the surface can lead to stretches becoming difficult to drive over. In extreme cases, vehicles may veer and lose control. In a series of highway preservation methods by local authorities, the road surface is dusted with crushed rock particles to maintain safety and structural integrity. When highway surfacing has become damaged through exposure to relentless weather conditions, either cold or hot, AirPatch is the answer. A fast and flexible solution to winter pothole repairs or sections of road which have cracked and distorted during the summer months. This mobile method involves the deployment of a spray injection patching machine to carry out surface maintenance. The entire process is achieved from start to finish by the driver/operator from inside the truck. 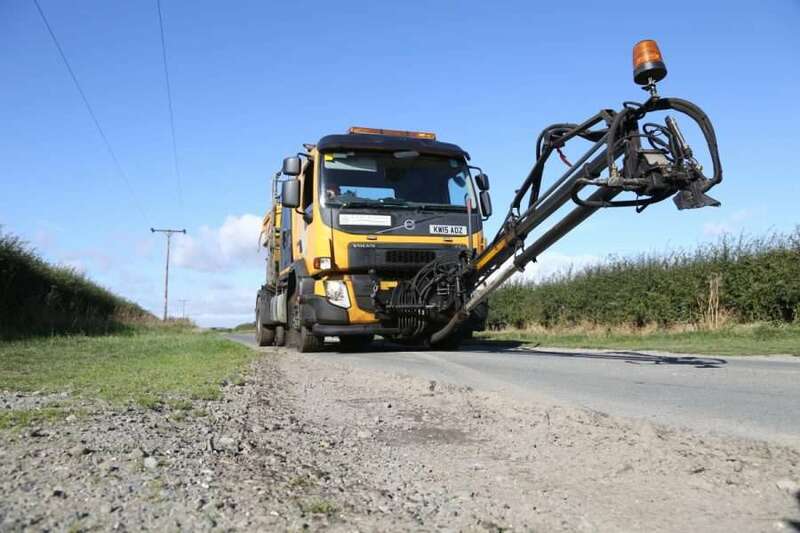 This is a highly efficient and safe way of carrying out lots of small scale highway surfacing repairs as the operator controls each step from the safety of the cab. Keeping the UK’s roads in their optimum condition requires a continuous process of highway surfacing maintenance. The routes which carry the highest volume of traffic require a more frequent schedule of repairs and each local authority must maximise its budget for this sector. Here at BituChem, we have a range of materials, products and processes to enable this. To find out more please contact us.